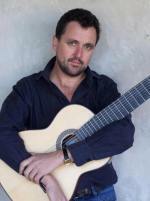 During the Asia-Pacific Economic Cooperation (APEC) forum in Sydney 8-9 September 2007, the Australian Lithuanian classical guitarist Gareth (Gerutis) Koch was invited to play for the world leaders last Saturday night, 8th September, at the Sydney Opera House. He performed with the guitar quartet Saffire, of which he is a founding member. To be invited to present Australian culture to the gathered world leaders has been a rare honour for Gary and the Saffire quartet. A team of soccer playing doctors arrived on the Gold Coast in September for the Thirteenth Global Congress on Medicine and Health in Sport & World Medical Football Championships 2007. They joined medical teams from seven other countries. Their week-long program included soccer games against South Korea, Brazil and Australia. With a draw with South Korea and a loss to the other teams, they did not make the finals, but they and their wives said they ‘had a ball’. Medical lectures took up their time between matches and they joined the Gold Coast Lithuanian Community at their Annual General Meeting and picnic, wearing their distinctive green Lithuanian shirts.